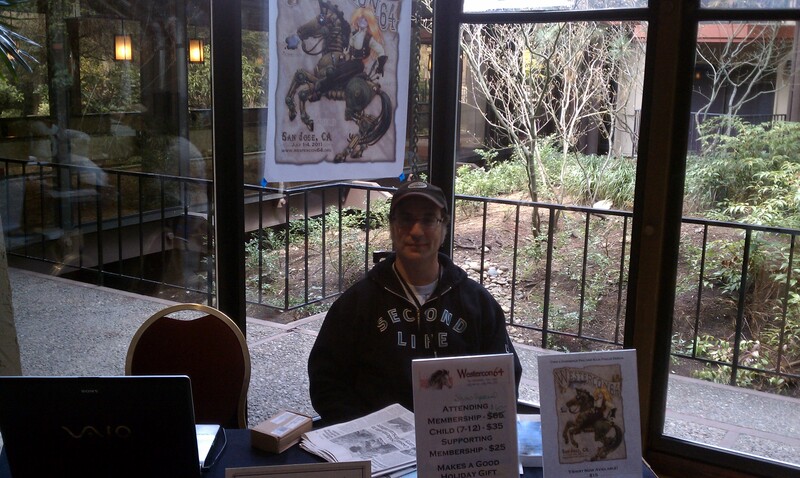 We’re staffing a table at Norwescon this weekend in SeaTac, Washington (next to Seattle-Tacoma International Airport). Here’s convention Chairman Glenn Glazer ready to talk to all comers about the convention. If you’re at the convention, please drop by and say hello. We also have a couple of our committee (including our web team) at Eastercon in Birmingham, England, but we won’t be staffing a table there.